Over the past 4 years, Karma Creative have prepared banners, brochures, stationary items and branded forms to a high professional standard. They are also in the process of redesigning our website to be more contemporary and user friendly, which has included both staff and project photography. So far, we have been very happy with both their work, and their fantastic customer service. The team were approachable and open minded to our thoughts on where we wanted to take our marketing material and brand. They were effective in converting our rough ideas into a number of potential designs, and willingly accommodated any subsequent changes we wished to make. We would recommend Karma Creative. We are extremely satisfied with the service Phil and his team provide and will continue to work with them to ensure our brand is effectively communicated. Established in 1978 and based in Camden Town, Avondale is a family run Construction Logistics Specialist and General Contractor. Over 30 years, they have maintained their reputation as a leading logistic specialist and construction provider. 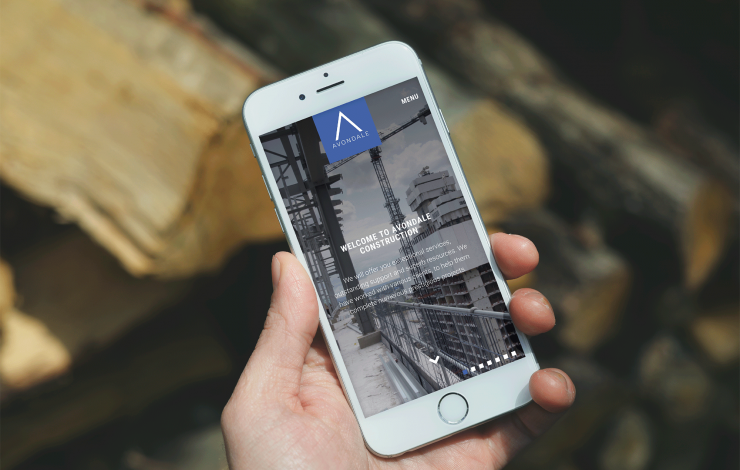 Avondale continue to develop the services they can offer their Clients and explore new and innovative methods of making large construction projects work more efficiently.